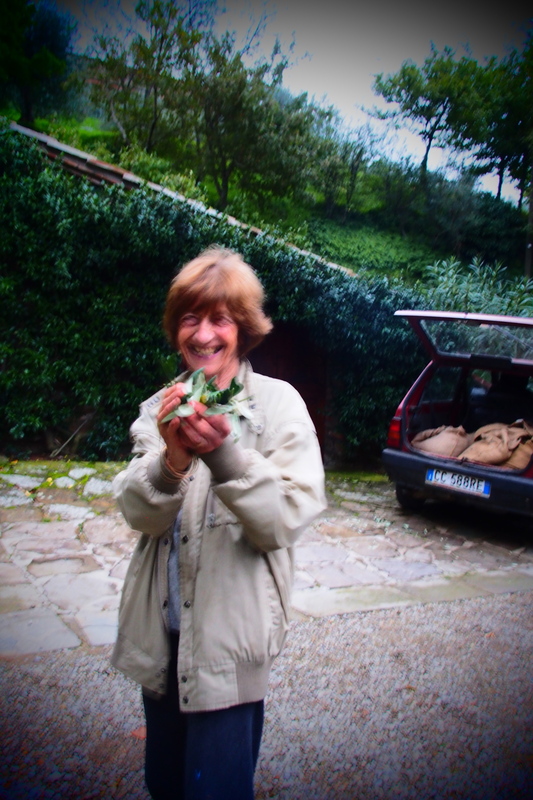 Micheline is somewhat of a legend in Cortona. I have seen her around the past 12 years and never met her until recently. She is Parisian and relocated to Cortona 20+ years ago. 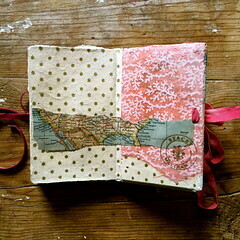 She has traveled all over the world, lived in different countries and has led a fascinating life. I have always wanted to know her. 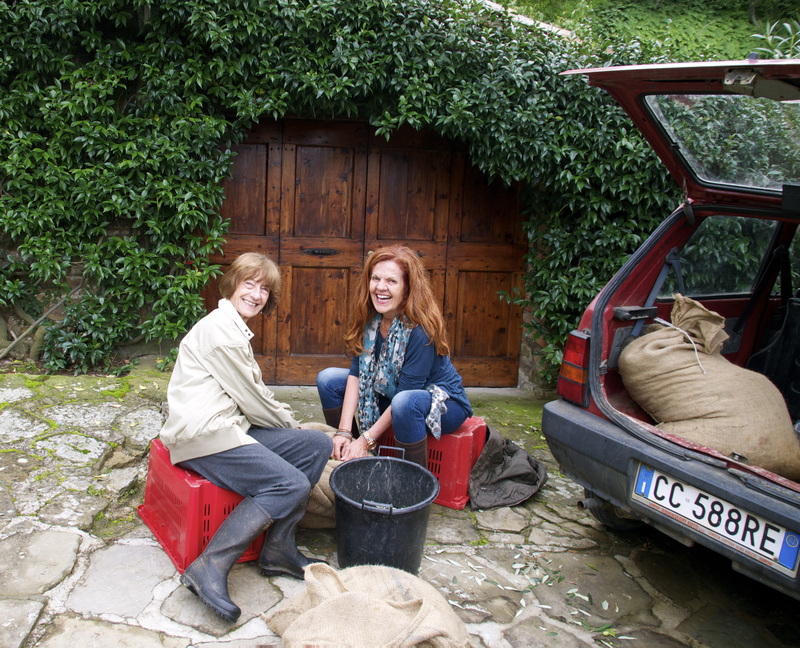 This time in Cortona, I had the opportunity not only to meet her, but to have the blessed opportunity to become her friend. The first time I spent some significant time with her, I simply showed up on her doorstep. 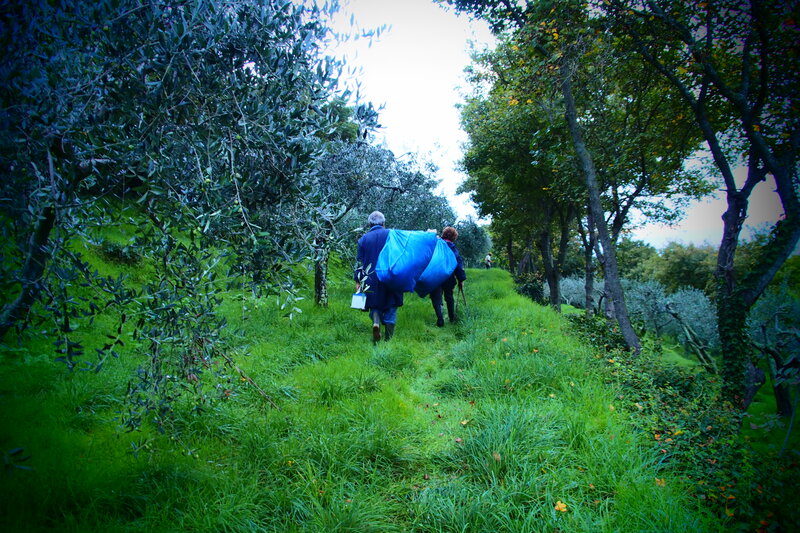 We had exchanged a few emails and that day she informed me she would be doing the raccolta, or picking olives. 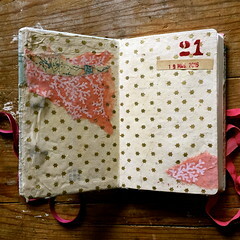 La Raccolta is a most wonderful Tuscan/Umbrian tradition this time of year, and I have always loved it. So, rather than ask her if she needed help, I simply showed up, uninvited. Che palle – what balls. 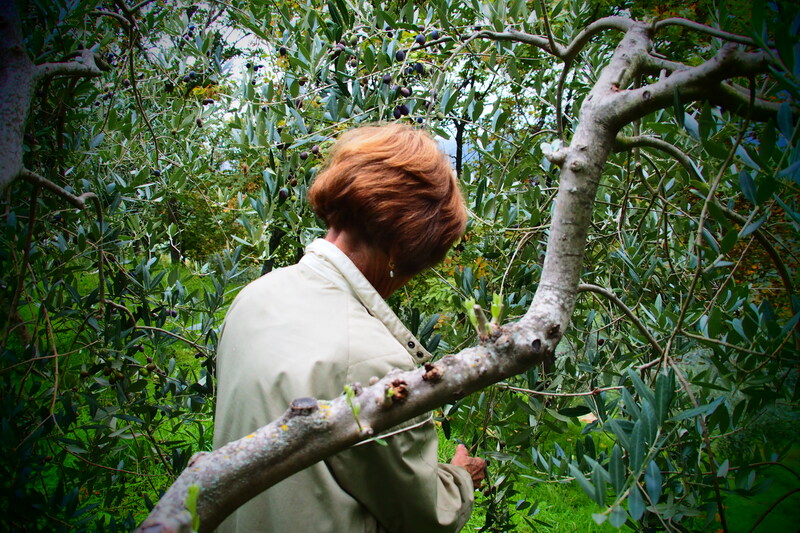 I found Micheline seated on the ground in her driveway, picking the leaves off the olives that the contadini, the farmers, had picked. 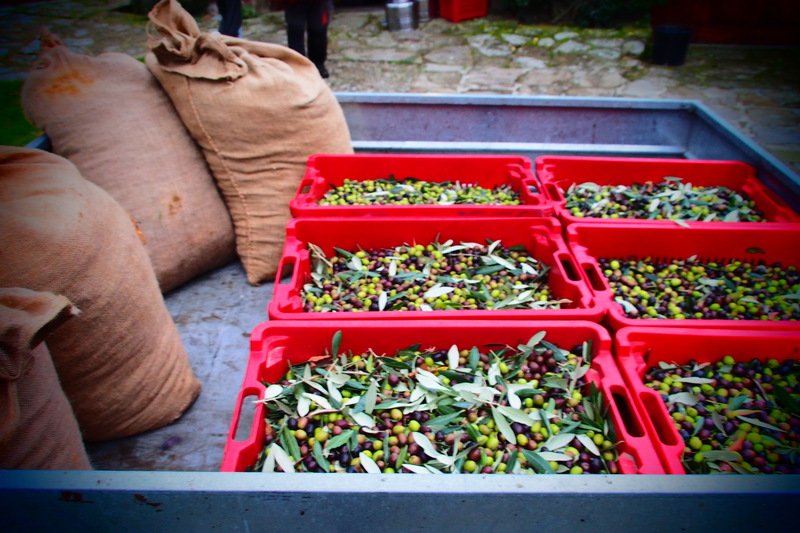 She told me that everyone tells her not to bother picking the leaves off, there is a machine at the mulino, the olive oil mill, that will do that, but she does it anyway, very fixated in her belief that the leaves manage to find their way into the oil anyway. 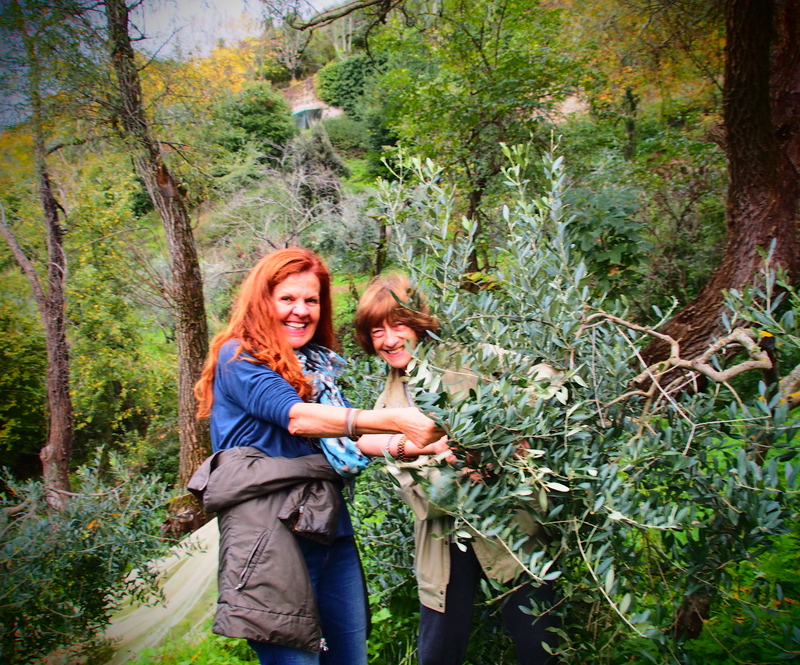 So I plopped down on a crate and helped her pick the leaves off the olives. 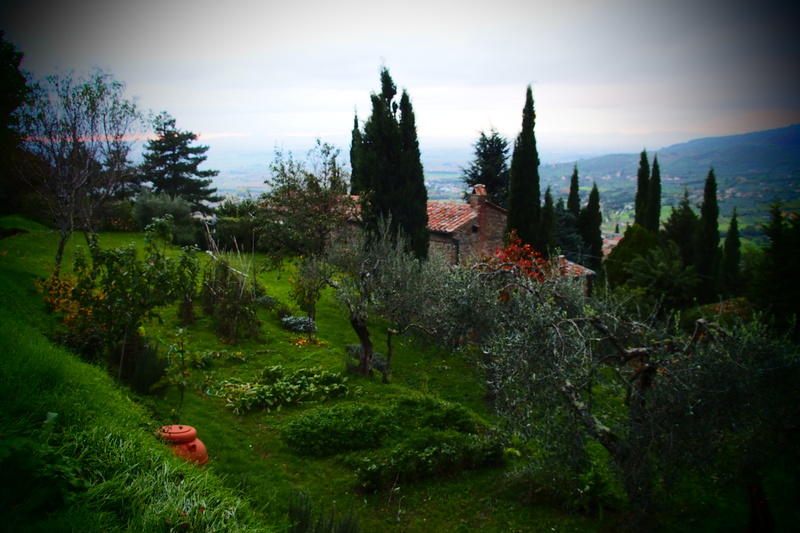 Micheline’s home is fantastic, positioned on the side of the Cortona mountain, overlooking the walled Cortona cemetery. She invited me in, and I swooned. Her home has a similar interior aesthetic to my own, furnished with a lifetime of objects and treasures from all over the world. 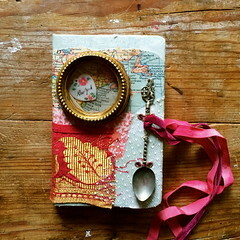 Her home takes my breath away, It is so eclectic, filled with art and radiates a vibrant energy. 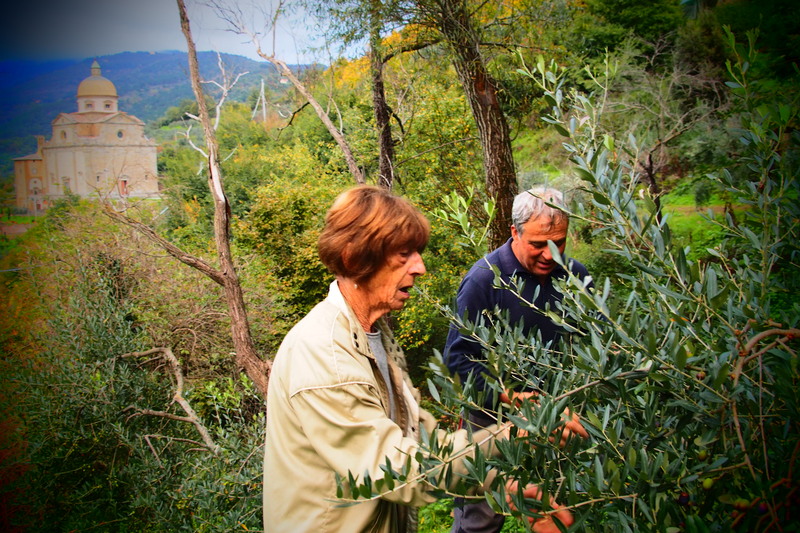 After an hour or so of picking leaves off the olives, Micheline decides that we need to go help the contadini with the last stages of the olive picking. 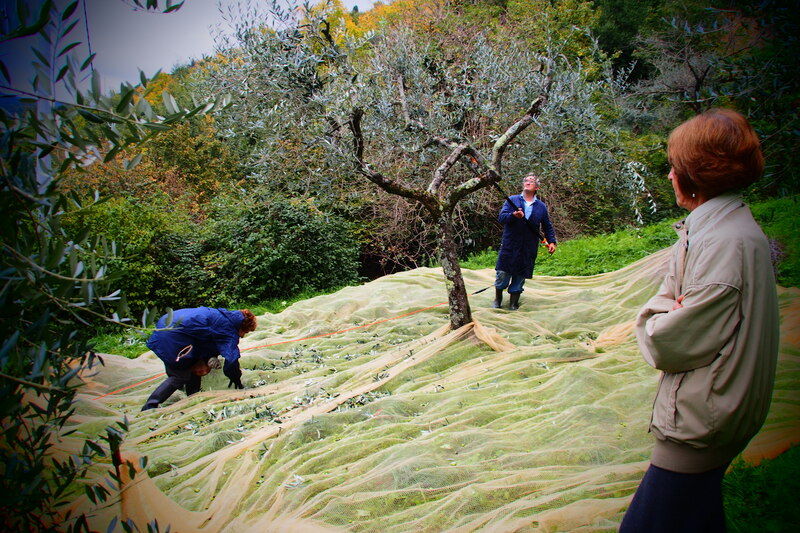 Laying the nets under the trees to catch the olives. 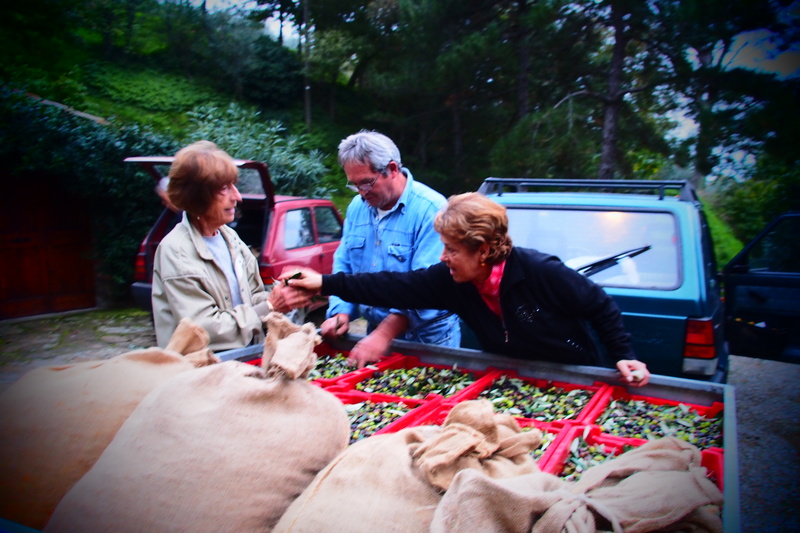 Micheline and Liviero, one of her friends who is helping with the harvest. 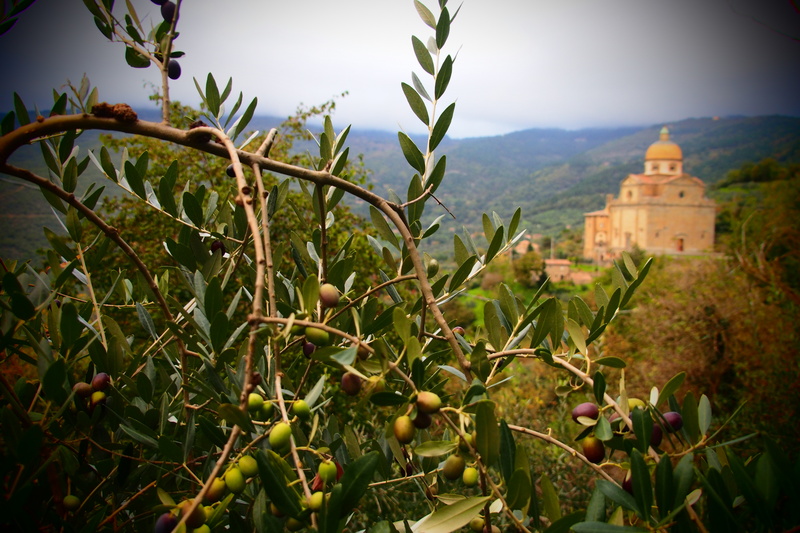 Santa Maria Nuova, the view from Micheline’s olive grove. 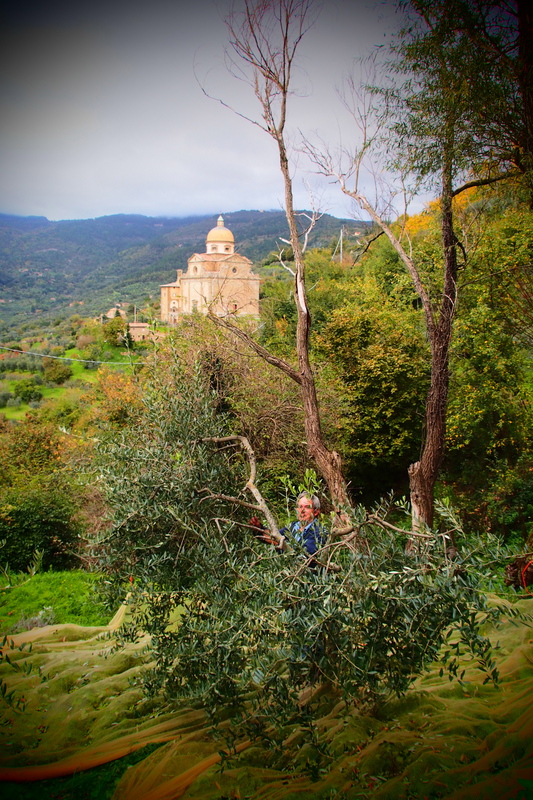 Picking olives is one of the most calming and tranquil things I have ever done. I could do this for days and probably should sometime. Packing it in for the day. The harvest is nearly done. 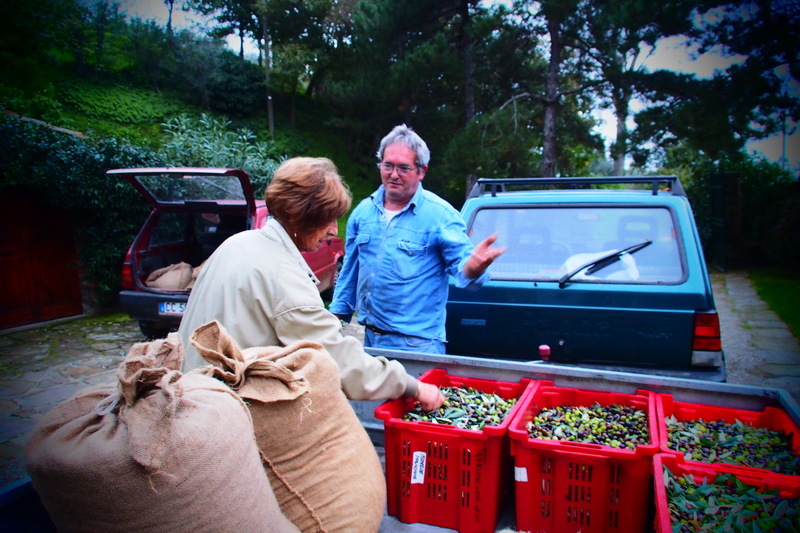 Adelio, is trying to convince Micheline to stop wasting her time picking the leaves off the olives. The machine will do that. She does not listen and she picks anyway. 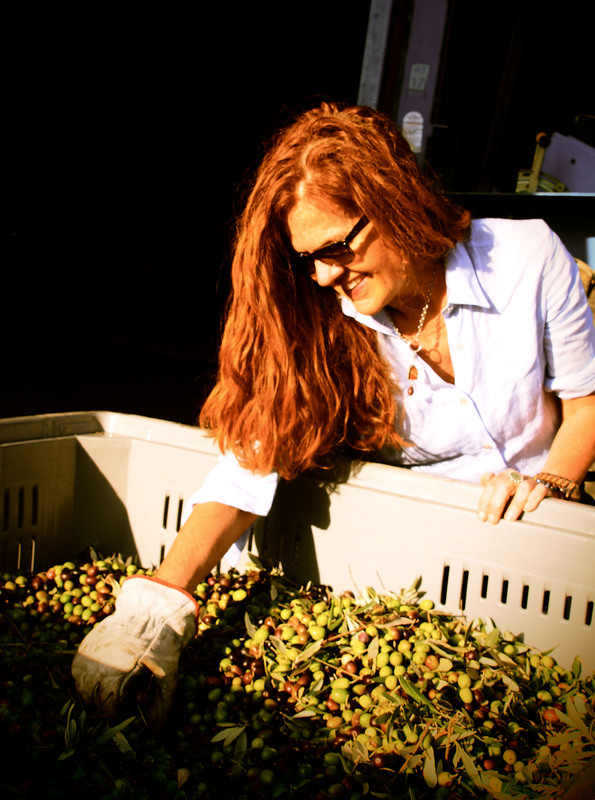 Now Maria gets in on the discussion about not picking the leaves, the machine will get it! Micheline will have none of it. She is obsessed with getting all the leaves off the olives. Don’t listen to the advice of others-just do it anyway. Micheline is an inspiration. I want to be like her when I grow up. And I have ALWAYS wanted to speak French, she says she will teach me. I should seriously consider this. What a lovely pictures. Another memorable and remarkable experience again for you Stacey! 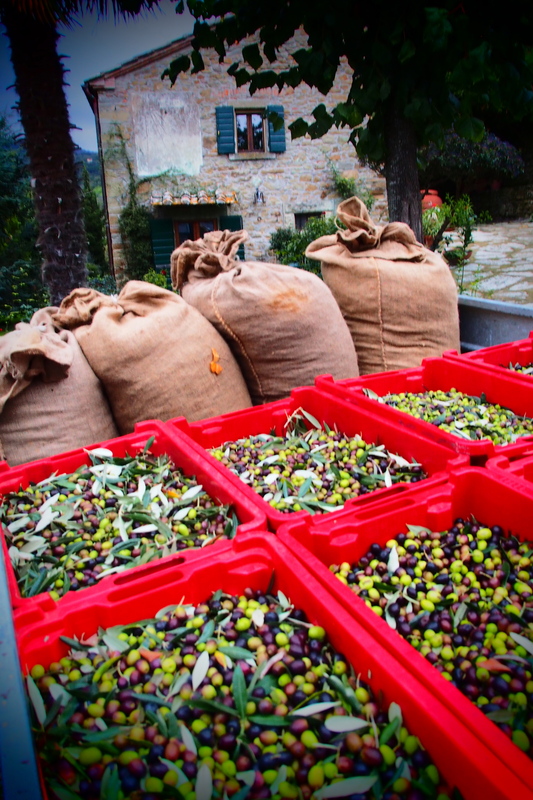 I loved the reference to the calm that comes over you picking olives. 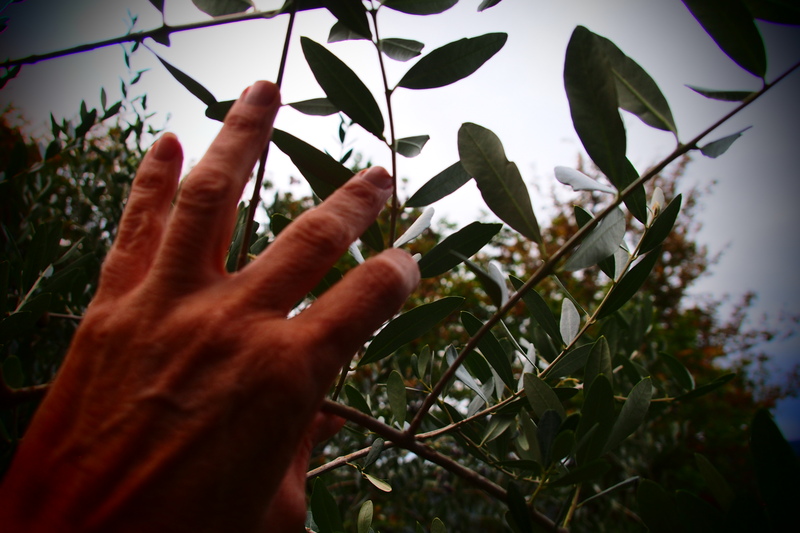 I’ve experienced this too — except I was picking ollalieberries on the California coast. A moving meditation! Loved it!